We offer an assortment of stadium cups. Custom print whatever you want on these 22 oz Stadium Cups! 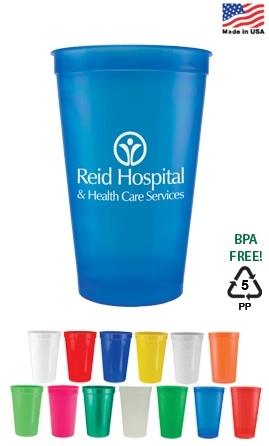 Be sure to order plenty of these stadium cups for your upcoming event. 22 oz Sports Cups offer quality that will keep for years.